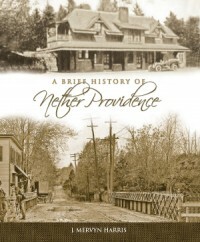 Welcome to History Notes, the online newsletter of the Nether Providence Historical Society. We hope you’ll check back frequently, or better yet subscribe to our newsletter by clicking the link in the left column. We intend for this to be an interactive newsletter, so feel free to comment, correct and contribute. If you have an idea for an article or would like to contribute an article, just send an email to nphistory@verizon.net.